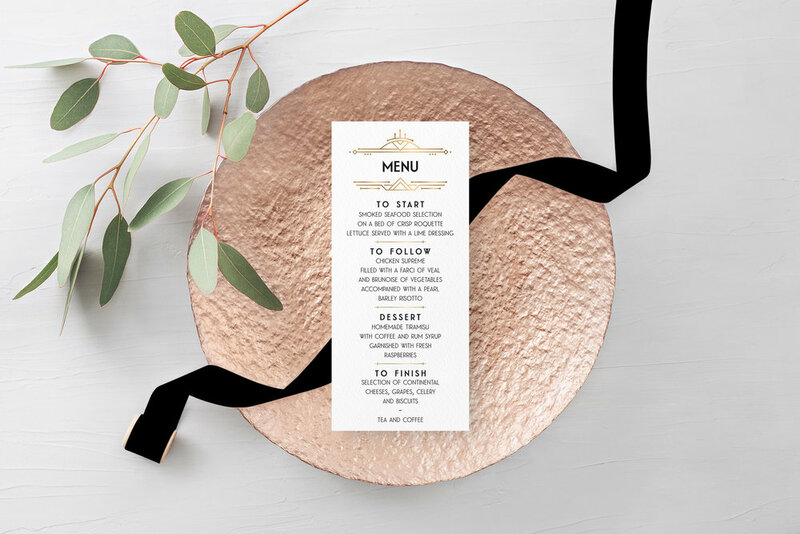 Our Wedding Menus are offered in a slim profile, matching each stationery design and the design of other matching tableware items such as Table Names & Numbers and Place Cards. 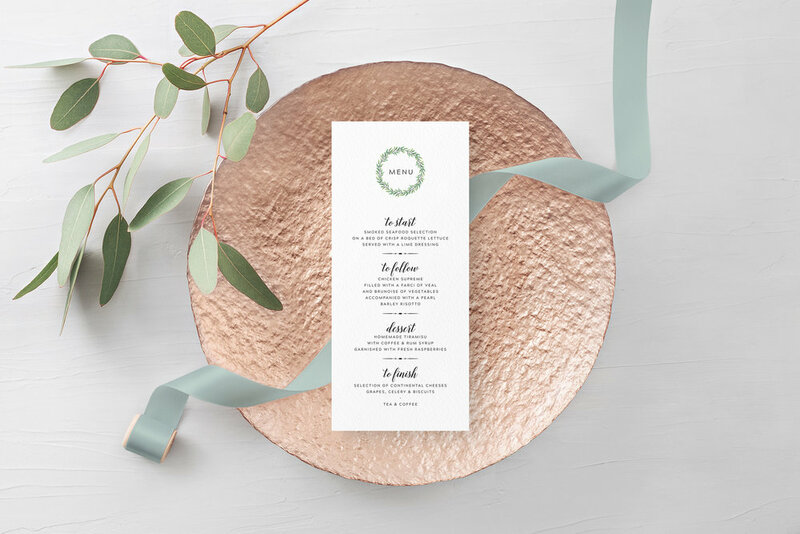 These cards are printed double-sided as standard, with courses printed on the front and details of the couple and the day on the reverse. 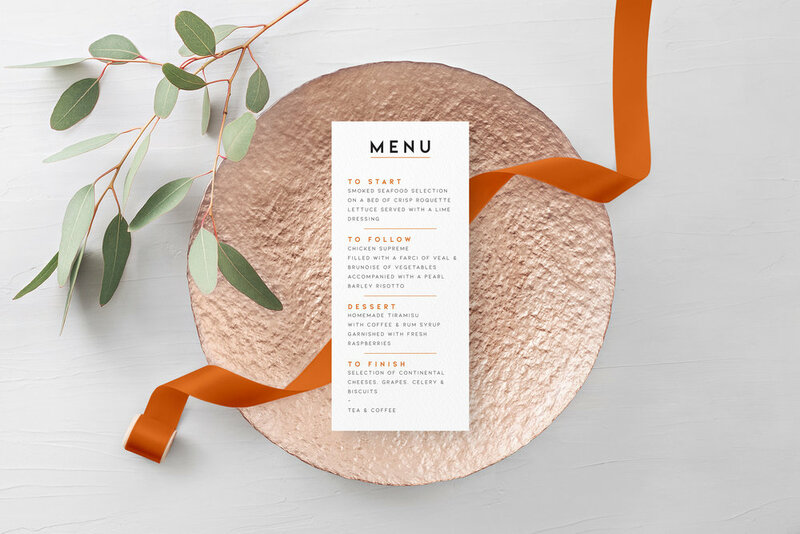 For longer menus, courses can run on the front and back. The cards can also double up as place cards and be fully-personalised, both with guest names but also their specific menu choices. Click or tap below to see each range.